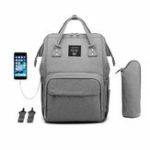 -Multi-purposes designed, you can use it as Backpack,Handbag,Shoulder Bag. 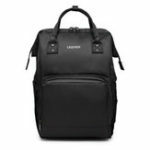 -External USB port, offers a convenient charging for your electronic devices. 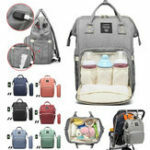 -Large capacity,you carry a lot of baby things,like diaper pad,feeding-bottle,baby clothes,baby toys,tissue, and so on.In addition,this mummy bag is very suitable for shopping, traveling when you with baby. 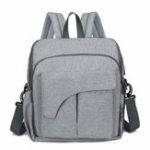 -Perfect for traveling, weekend getaways, shopping and other outdoor activities in daily life.